Disclaimer: Still Blonde after all these YEARS , ModlyChic, Spring Fashionista Events Giveaway and the Spring Fashionista Events Giveaway bloggers are not responsible for sponsors/bloggers that do not fulfill their prizes or for any product failure or harm caused thereby. It’s been warming up in the Rocky Mountains, and as the snow melts, the fuzzy parka and heavy coats are swapped out for lighter jackets and short-sleeved shirts. Whether you’re shopping for yourself or shopping for a family, updating your wardrobe with the latest styles and trends can be time-consuming and expensive. Fortunately, there is a wide variety of monthly subscription boxes that can help you get new clothes every month, swap the latest styles unlimited times and month, and discover new trends – all without having to leave the house, drive to a mall, or find parking. Find Subscriptions Boxes, the largest review-driven subscription box directory, makes it easy to find the perfect fashion subscription box for women, men, and kids and to start receiving the latest fashion trends at your door every month. When it comes to women’s fashions, there are two types of fashion subscription boxes. The “mystery” box, such as Stitch Fix or Golden Tote, delivers you a surprise selection of styles, usually curated by a stylist and based on your preferences. These fashion boxes arrive once a month and usually have a much higher retail value than the price of the box. The other type of fashion box is more like a “try and buy” or rental subscription. With these boxes, subscribers pay a fixed fee each month and are able to select, receive and return items for a new shipment multiple times per month. If you love one of the styles you receive, you just pay for the item (again, usually at a discounted rate.) and return the rest of your items for a new shipment. Gwynnie Bee is a great example of this subscription, that offers access to trendy new styles from women sizes 10-32 for as low as $35/month. Fashion subscription boxes are a great way to break out of your fashion rut and create new favorite styles. With some fashion boxes, it’s like having your own personal stylist – someone who challenges you to try something new, which you can do in the omfort of your own home. They also give you access to new looks and styles you might otherwise not have seen or tried in the store. Have you tried any fashion subscription boxes? If you love finding the latest promotions, free box offers, and coupons, then you’ll want to check out the Find Subscription Boxes App. The first app dedicated to subscription boxes, the Find Subscription Boxes App is FREE to download and is available for Android, Apple, and Kindle. In addition to having featured deals, the app also makes it easy to find the latest boxes added to the directory, read subscription box spoilers and subscription box reviews. Stay up-to-date on the latest subscription box news, new box launches, and subscription box savings with Find Subscription Boxes. 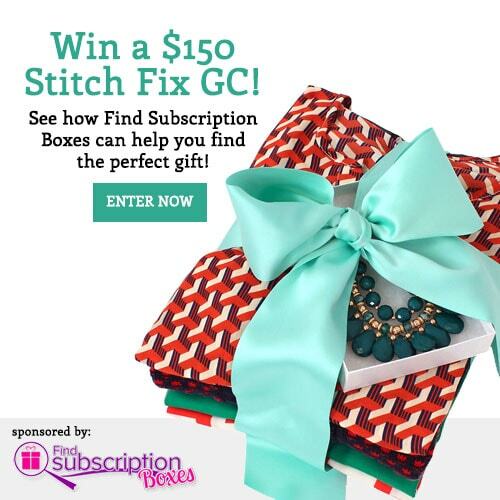 Find Subscription Boxes is returning as the sponsor for the Spring Fashionista giveaway! The Spring Fashionista Giveaway Event is hosted by The Chief Blonde at Still Blonde After All These Years and Katy from ModlyChic. All Fashion! Only FASHION event! Largest Fashion Giveaway event on the internet with $26,000+ in prizes, 100+ participating blogs and 3/4 million entries. Each individual blog has a minimum of $125 prize! One lucky winner will receive a $150 Stitch Fix gift card to discover new, hand-picked styles every month! Read about Stitch Fix on Find Subscription Boxes. 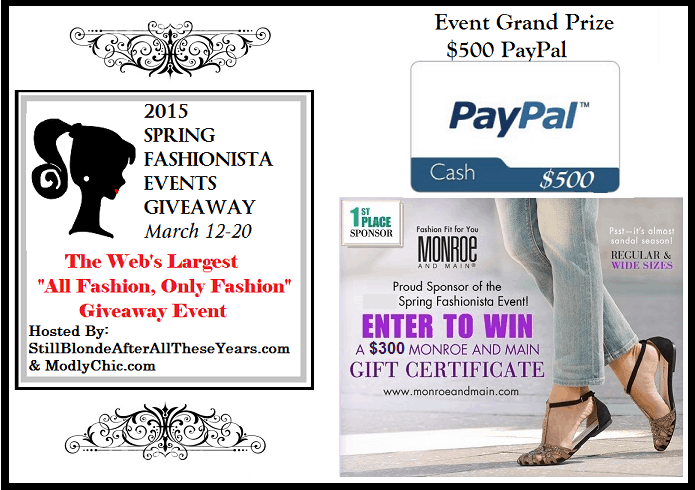 The Spring Fashionista Events 2015 Grand Prize is $500 PayPal (worldwide where allowed by law). For every giveaway in the Spring Fashionista Event that you enter, you gain one entry toward the Spring Fashionista Grand Prize. 1 Grand Prize winner will receive $500 PayPal cash. 1 first prize winner will receive $300 gift certificate to Monroe and Main. Isn’t that stunning? I love PSMH too! I’ve gotten a few Love With Food snack boxes and really enjoy trying the new snacks. I would love the Candy Club. I would love to try the LookFantastic subscription box. I like that it includes hair, skin and makeup products. I have never had a subscription box, but Stitch Fix is the first one I have wanted to try. Sassy Bloom looks like a great box for the little ones. I’d love to try the Golden Tote or the Wantable Intimates. I would love the globeln artisan gift box, I love unique handmade items and this even gives you the story behind the artist. I would like the SporkPack. I really enjoyed Little Passports with my daughter. I’d like to try Japan Crate. I love Stitch Fix, Julep and Birchbox. My son would love the loot box for gamers. I’d love to try the Vegan Cuts beauty box. I would like to try the Club W wine subscription box. SOCK PANDA LOOKS LIKE SO MUCH FUN! I’d like to receive the Barkery Box. I’d like to try the Look Fantastic Beauty Box. I want the Wantable box. My favorite subscription box right now is the Bark Box. I get one for my dogs every moth and they love it! I would like to try the Pretend Play Dress-Up Subscription. I would love to get the Lookfantastic Beauty Box. I love this prize! Wish it was International :)Good luck everyone. I would like to try the box/gwynnie-bee/ , fashion. I’d like to try the Wantable Makeup Box. The Bulu box is great for health conscious people like me! I would love the Kona coffee club. Nothing better than Kona coffee!!! I want the lookfantastic beauty box. My fav is the popsugar accessories box, I really want it! I would like the candy club box. I’d like to try the Spoiled Rotten Box subscription for my dog, who is indeed spoiled rotten. The Pasta of the Month Club looks like it would be delicious! I like the wantable makeup box. Because we all know I love makeup! and I love trying NEW makeup! I’ve received two StitchFix boxes, and loved the experience both times. There’s nothing quite like being able to try on new clothes in your own closet, mixing and matching w/ the clothes you already own. My favorite subscription box for kids is Boodle Box; my niece adored the box I sent her! Eco-Emi is my favorite box for adults! I’d love to try the Ecocentric Mom box! I would love to try the Loot Crate subscription!! There are a billion I’d like to try, but Fabletics tops my list! I would love to try the Bulu Box Weight Loss subscription the most. Ivy Kids looks so cool. And I have been eye balling the Tinker Crate for one of my kids. And the Artisan Jewelry box is neat as well. I would like to try the Wantable Makeup Box. I would like to try Candy Club. The Violet Box of beauty products looks exciting. New products every month! I’d like to try the Candy Club box! I’ve been dying to try Tinker Crate for my children. But I’d also like to get a Sock Panda subscription for myself. Eco Emi has some great things — lots of fun eco-friendly goods. The Gourmet Popcorn OTM would be loved in my house. I like Bulu Box. It’s nice to try a sample first before buying. Loot Crate looks like a lot of fun to check out. Loot Crate looks like a lot of fun to check out. I really like the idea of getting a new box every month. I would like to try the Twinings Tea Tasters’ Club. I would get the Arcade Block for my daughter. She has been wanting this for awhile. I like the Farm Fresh to you Farm Box….and many others! I would love to try the whiskey lovers box. how cool is that!!! I would try any of the dog boxes, especially the Bark Box! I would trythe Bark Box! I would like to try the Candy club subscription box. I would like to try an Angelino’s Coffee. Kloverbox is my favorite box. I’d love to try the Wantable Fitness Edit box! I also like the Baby Bump Bundle Subscription Box. I like that they have boxes for mom and baby. I would love to try the Wantable Fitness Edit Box. I would like to try the candy club. I love so many – Stitch Fix of course, LeTote, Glossybox, to name a few! Thanks for the chance and good luck to all! I like the Candy Club. I would like to try the Lookfantastic Beauty Box. I would love to try the Box Upon a Time. the farm to table box looks yummy. I would like to try The Trendy Box. I would like to try the coffee boxes. I like all the subscription boxes from food and drink, health and beauty, women, men, etc. My favorite box is Graze – it’s cheap and you can choose how often you want it. You can even get it weekly! I have always wanted to try the wantable beauty box. I would love to try the Lookfantastic Beauty Box, so as to change my look for Spring. I would really love to try the NewBeauty TestTube subscription. I love the Loot Crate box! There are tons of boxes I’d LOVE to try, I’ve tried New Beauty and absolutely love it! Potato chip of the month??? OMG, how could you go wrong? I’ve never tried a subscription box service but I’ve been tempted to try Rocksbox lately. I don’t generally wear jewelry but I’m thinking this would be a great way to test the waters! I love subscription boxes. The Cate and Chloe box would be my first choice. 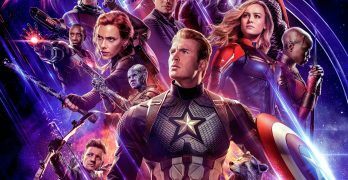 The Loot Crate looks like it would be pretty neat. I like the Ecocentric Mom. I like popsugar must have box! I’d try the Wantable Makeup Box! I would like the the try the world one. I’d like to try PopSugar Must Have. Id like to try arcade block and darby girl. IU like to try the Escape Monthly. I so need a breakaway! I’ve never experienced a subscription box myself but I gifted my daughter the POPSUGAR Must Have Box and she loved it, so I would have to say that is my favorite. Thanks for a great giveaway! I really like all the kids crafts boxes. What a great way for kids to be entertained and have imagination. I’d love to get the Try the World box! What fun!! Honestly, I’d like to try the Stitch Fix box. It looks like a lot of fun to get new clothing each month. Thanks for the giveaway! I would like to try the e.l.f. subscription box. I have tried a couple but this one sounds great. Last year for Christmas I got my niece a Pop Sugar box, and this year I ordered her a GlossyBox subscription! Both seem great! I think I would love the “Love With Food” subscription box. I like healthy, organic and non-gmo food and this would offer me a glimpse into new products. I’ve actually been wanting to try Stitch Fix for quite some time now! Another subscription I’d love to try is the Bean Box. Thanks for the giveaway! I would love to try the Le Tote subscription box. I would like to try the Vegan Cuts Snack Box. I like the PetBox. It’s so fun to get their treats and toys! I have never tried a subscription box, but I think I would love anything from PopSugar! I also love all makeup and beauty products so maybe Ipsy or Birchbox. I would love to try Le Tote! I would love to try the Scentbird box. My favorite subscription box is the DIY For The Makers. I would love to try the WISH box. Something different every month! I have never tried a subscription box, but I like the idea of a professional selecting clothes for me based on my preferences. I like the idea of sock panda, I want some cute socks! The Treatsie Chocolate Bar Subscription is calling my name! I can’t wait to get may fourth fix from a StitchFix! My stylist comes up with clothing that is my style and on trend. Highly recommend StitchFix! Bean box is my all time fave! I would love to try Glossybox! I would love to try the PrettyFit box. I would really like to try the Healthy Harvest Club. I would love to try Stitch Fix Subscription Box. My favorite box so far is Kiwi Crate. It’s craft with a theme and I love how exciting it is when the box comes the kids love it. I would love to try Wantable. I’ve heard great things about them. I would like to try the Gluten-Free Conscious Box because I am trying to eliminate gluten but some of the products are pricey. I have become a subscription box hoarder, I love Julep Maven boxes. I also love FabFitFun too. I have looked into Stitch Fix box too, I would love to get a Stitch Fix Subscription too! I would love to get the Loot crate for my kids and i have just recently ordered a Japanese crate as well. Waiting patiently for it’s arrival. The Try the World box with gourmet foods from all over the globe would be great to try. I would like to try Loot Crate. My kids are big video gamer fans! The Le Tote box looks nice! Just Fab looks cool too! I’d want the loot crate! My daughter would love to get a Loot Crate. As for me, I am not sure there are so many I would like to try. I have wanted to try stitch fix for a while now, I have friends that just love it, I’ve been worried about the added expense to our budget, but I would love to try it and see if it’s worth it. My favorite box is Ipsy! Although, I would love to try the Glossybox, Allure box, all the Wantable boxes…you know what? I want them all!!! I would also love to get the Barkbox and the Wantable Makeup Box, but I would have to say that the Favorite Box that I currently get is My Nature’s Snack, and my Conscious Box. I’d love to try the Wantable Fitness Box. I think I’d go with the Be Pawsitive box for my pup. It looks like something she’d love! Plus they donate to animal shelters, which is awesome! The Meow Box for my cats. I have never had any subscription boxes before but something with food would be my choice. Maybe the Farm Fresh to your Farm Box or the Healthy Harvest box. A lot of great ones.One I like is the BustedTees SOTM Club. I would like to try the Lookfantastic Beauty Box subscription. I would like to try the Look fantastic Beauty Box subscription. My favorite subscription box is Loot Crate. I have heard such great things about Stitch Fix. I would love to try the LookFantastic Beauty Box! I’ve never gotten a subscription box. I have heard good things about Stitch Fix so I would love to try that. So far, Stitch Fix and the Walmart Beauty Box are the only subscription boxes I’ve tried, but I like both quite a bit! I would order the HauteLegs box or one of the other sock boxes. My BF his a huge sock fetish…..lol. I think the cat would really love the meow box! I’ve never gotten a subscription box, but from what I have seen of them from various reviews, I think Ipsy is my favorite. I’m a nail polish junkie, so I love my monthly Julep Maven box! Wantable Makeup Box! I love trying new things! I really like the Escape Monthly box. What a GREAT idea and how fun it would be to receive each month. The box I would most love to try is the e.l.f. Beauty Bundle box! It seems like they offer fun new colors and I love e.l.f products, so I know I would use them! I really want to try the Pop Sugar Must Have box. My favorite subscription box is from graze! I’m kind of nerdy so I think I would like Loot Crate. The Escape Monthly box appealsot me the most. Glossybox is my favorite subscription box! I love Glossybox and Wantable! I would like the Farm Fresh to You Farm Box and I know my kids would love the Loot Crate Box. I’d love to try the kids fashion subscription box. I really like my Ipsy box. My favorite subscription box is the Globeln Artisan Gift Boxes. Candy Club is my choice! I would love to try the Escape Monthly and Candy Club subscription boxes! I would say that Stitch Fix is my favorite monthly subscription box to read and see reviewed. I personally do not get a subscription box but I think Stitch Fix has sent some of the cutest clothes and they also send staple items. I would like to try the BaubleBar Makeover Box. I like what I see. I would like to have the Hero Box! I like Sock Panda since I love socks. I’D LIKE TO TRY THE DOG’S BARK BOX. IT LOOKSTO BE UITE REWARDING FOR MY PUP. I love the idea behind and the products in The Escape Box. What a fun idea! i would really like to have the loot crate box. I’d love to try the POPSUGAR Must Have Box. It looks like it has a whole lot of different types of things. I would probably choose the Her Fitness Box, but I take nearly no time for myself so a beauty box would be pretty nice too. I would love to try the Send Me Gluten Free subscription box! SendMe Gluten Free looks interesting – especially to learn more about tasty gluten free products! Loot crate and z boxes. I would like to try Luxor Box. I would definitely sign up for the Candy Club. What can I say…I love my sweets. I love the barkbox subscription box and so do our dogs. I would love to try the Candy Club box….I bet it’s yummy. I would like to try the Threaded Canvas subscription box, it sounds like an awesome creative subscription. Oh my goodness…I can’t believe the variety. This is going to sound crazy, but the Doggie Lawn subscription, would have been perfect for my two senior dogs, that died a few years back! It would have been so fantastic for them. For my other dogs, the Spoiled Rotten Box subscription would be greatly received, I’m sure! I’ve been curious about BaubleBar. I love getting new accessories. I like the Caffeine Rebel subscription the most of all. I’d like the barkbox subscription. 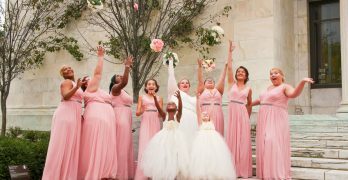 i’ve wanted to try popsugar! i’ve wanted to try popsugar, especially their limited edition boxes! I want to try the Wantable Makeup Box subscription as a girl can’t have too much makeup! 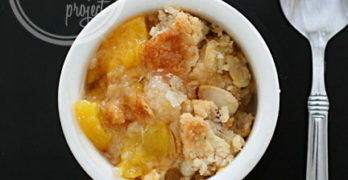 I would love to try the Tyler Florence Fancy Box! His boxes always include cool kitchen gadgets and I love new stuff for my kitchen! Brownie of the Month Club. I would like to try the Escape Monthly scription box. Sounds like it would be a pleasant surprise each month.